The experiences born during these years of the selection of persians have created changes in the perception of the natural products associated to animals. If it is true that if a cat has a batteric infection antibiotics are necessary, it is also true that each chimical product has positive and negative effects in our heath. In fact chimical disinfectants or pesticides have teratogenic effects (they divide the DNA molecules killing or transforming them into tumoral cell). This is a reality in both humans and animals. When the Union bio industry proposed us to try their products we were sceptic. But then we thought that if there were no positive consequences, of course no negative effects would appear! The base of the products is the U.B matrix, which kills the stafilococcus in 24 hours. Then they add essential oils taken from Bolivian plants. 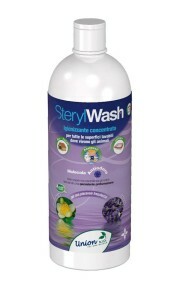 So we sostituted the chimical disinfectants used to disinfect the room in which there are surgery whit the STERILWASH, an antibacteric and antimicotic detergent which can be used for floors, paviments, dressed…. Everything!!!! Then we starded to spray AcaroNaturalStop to make acarous go away!! 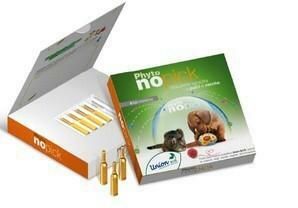 Then we started to use phitonopick, a natural repellent instead of the pesticides. They are completely natural and also economical. Then we began with shampoos. These products don’t create problems to our pets or us. They area resoults of the scirntifical research lasted more than 30 years.